PM together with the National Confederation of Transportworkers Union-Sentro are supporting the strike by the Iloilo City Loop Alliance of Jeepney Owners and Drivers Associations (ICLAJODA) and Confederation of Iloilo Province Jeepney Operators and Drivers Associations (CIPJODA). “The unity of the jeepney drivers in Panay should be a wake up call on local governments and the Department of Transportation on the grave impact of their so-called modernization plan. The strike yesterday and today is just a preview of more militant protests if government remains deaf and blind to the demand for a just transition,” explained Blancaflor. PM describes the just transition as consisting of four steps. First, a transition of five years before full implementation of the phase out. Second, assistance and subsidies to operators for the replacement of jeepneys. Third, a ban on the importation of old and surplus engines and second-hand vehicles. And last, conduct a study on the most appropriate alternative to jeepneys such as electric jeeps or hybrid, LPG or Euro4 engines. 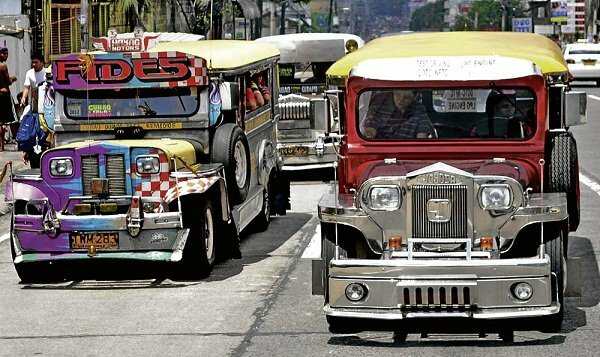 “The livelihood of thousands of jeepney drivers should be benefited not endangered by the shift to environmentally-friendly public transportation. Social justice must accompany social progress,” Blancaflor emphasized. PM criticized the draft Department of Transportation order mandating a minimum of PhP 7 million as capitalization for jeepney operators. “The capitalization requirement is discriminatory and anti-poor. It will lead to the gentrification of the jeepney sector and the dominance by big capitalists to the detriment of ordinary Filipinos who derive their livelihood as operators at present,” Blancaflor averred.